If you’re watching the Vitality Blast and Kia Super League cricked this weekend you’ll notice rainbow flags decorating the grounds, players and umpires donning rainbow laces and even rainbow bands on the stumps. This is because the England and Wales Cricket Board (ECB) are taking part in a cricket Rainbow Laces takeover to show their support for lesbian, gay, bi and trans equality. We’re really proud to see this fantastic show of support from the ECB, which will send a clear message to fans and players that cricket is welcoming and accepting of all LGBT people. Homophobic, biphobic and transphobic attitudes are still a serious issue in sport. From our research, we know that across all sports there are lesbian, gay, bi and trans people who don’t feel welcome or able to be themselves, not just as participants but also as fans. When LGBT people have these negative experiences, they are held back from playing sport and being part of the sporting community. Taking action and coming up with creative ways to use the Rainbow Laces campaign and visibly show a commitment to LGBT equality sends the important message that cricket is everyone’s game. We know that attitudes in sport need to change before everyone feels free to be themselves, but initiatives like this bring us closer to the day where everyone, from players to fans, are accepted without exception. As cricket clubs share news of the Rainbow Laces cricket takeover on social media, we expect a backlash from a small minority. It’s unacceptable that attitudes like this still persist in 2018, but these serve as a reminder of just how vital it is for National Governing Bodies of sport to take action now and boldly Come Out for LGBT equality. The cricket Rainbow Laces takeover is also an opportunity to highlight that football is not the only sport that has a challenge with anti-LGBT discrimination. We need to see a commitment from across all sports at all levels to change attitudes - clubs, elite athletes, fans, workforce and grassroots participants all have a part to play. If you love sport and want to stand up for equality you can get involved this weekend by tweeting using #RainbowLaces and #RainbowStumps to show your support. You can also visit the on the Stonewall website for ideas about how to make sport everyone’s game in your own community. Together we can ensure that sport is a world where everyone feels free to be themselves. 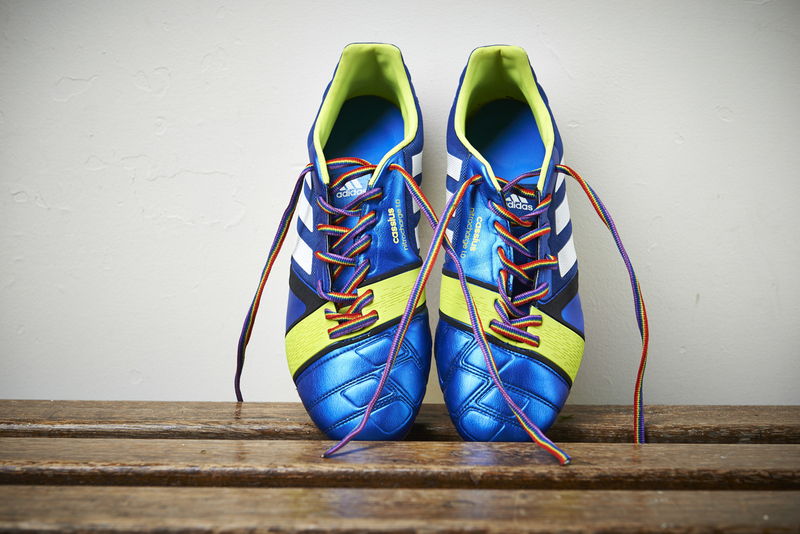 Find out more about Rainbow Laces.